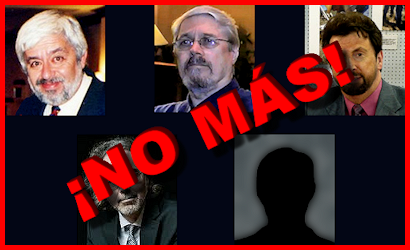 MUFON Wisconsin Assistant State Director and Chief Investigator Mark O'Connell published a blog post Tuesday in which he requested the organization remove Roswell Slides promoter Jaime Maussan from its list of speakers for its upcoming annual symposium. O'Connell, who is currently composing a book on the life of the late ufology icon J. Allen Hynek, additionally requested that MUFON ban Maussan and his beWITNESS colleagues Tom Carey, Don Schmitt, Richard Dolan and Anthony Bragalia from its future events. "There is no place for these people at any gathering that is meant to further the cause of serious UFO study," O'Connell wrote in a message to MUFON International Director Jan Harzan published in the Tuesday blog post. MUFON has long been under fire from a wide range of sources for what many interpret to be a blatant disregard of its mission statement, "The scientific study of UFOs for the benefit of humanity." More discerning members of the UFO community have frequently voiced strong objections to the organization's choices of speakers given the claimed mission, and the latest decision to offer Maussan a platform is bound to draw more criticism. The theme of the 2015 MUFON Symposium is billed as, "Expanding Ufology: Opening NEW Doors in Academia, Industry and Media." "Maybe we need to shut a few doors while we're at it," O'Connell wrote in response to the theme. This writer appreciates O'Connell's initiative. Let MUFON and O'Connell know what you think about his request and the related issues by posting your comments at his recent post, 'Eradicating the UFO Pestilence'. "Alien Mummy Fiasco in Mexico City Has Pretty Much Played Itself Out"
Roswell Slides Debacle: "The Public Deserves a Financial Accounting"
Roswell Slides: "The 'Alien' Photograph was Pure Theater"